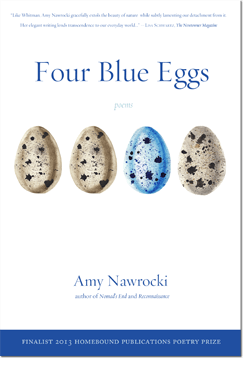 Amy Nawrocki is the poetry editor of The Wayfarer and author of five poetry collections, including Four Blue Eggs and Reconnaissance. 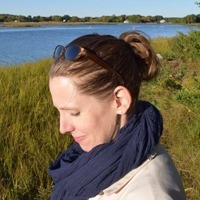 She is the co-author of A History of Connecticut Food, A History of Connecticut Wine, and Literary Connecticut. She teaches English at the University of Bridgeport and lives in Hamden Connecticut.